For the Lightning organization, “it’s part of who we are” says Mary Milne about employee culture. It is pretty well known in Florida that the Tampa Bay Lightning is an amazing hockey team. Having made it all the way to the Stanley Cup Finals last season, most of the world also knows. And in Tampa Bay most people know that owner Jeffrey Vinik and the entire organization are an example of how conscious business equals great business and earns great results – far beyond financial. What most people, even locals don’t know however, is how that conscious culture plays out behind the scenes. Lightning VP of Operations Mary Milne, who has been with the team for 16 years started the team’s first recycling program in 2003. Milne and Amalie Arena General Manager, Darryl Benge, head up the organization’s “Green Team” which oversees all sustainability programs. Current sustainability efforts include water and energy management, fan experience and employee culture development, various recycling programs, and hydroponic farming. 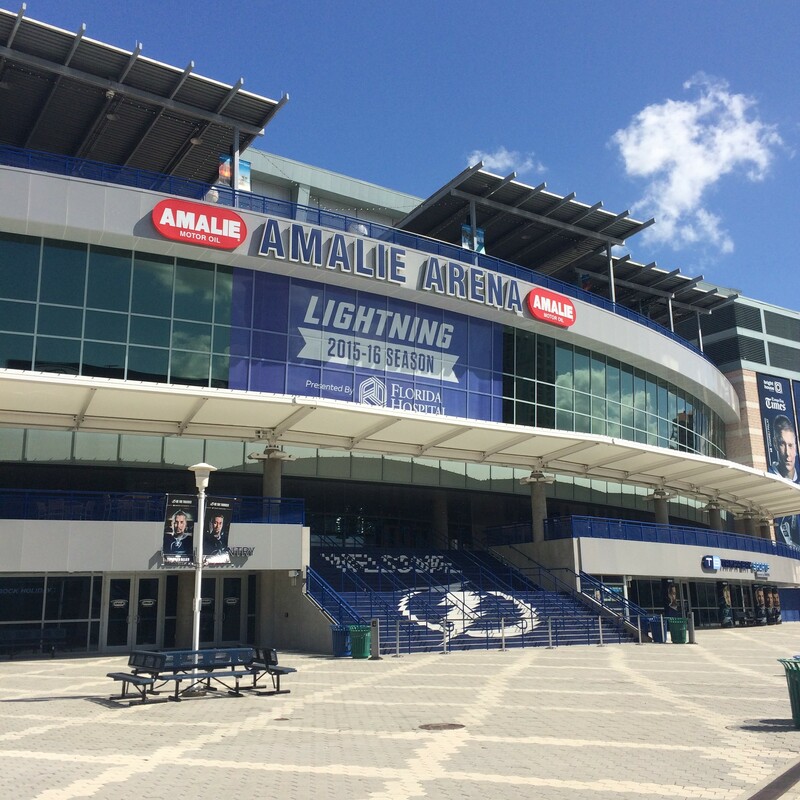 Water management for example, has made Amalie Arena one of the few facilities with all water-free urinals. Fan experience for season ticket members has been simplified using a single plastic card that eliminates the waste of printed tickets while simultaneously improving security. A key component to a great fan experience is also ensuring a great employee experience. For the Lightning organization, “it’s part of who we are,” says Milne about employee culture. Lightning employees are expected to give 25 hours of community service each year, paid for by the organization, which they do in groups or individually. On average, employees create six aluminum and three plastic bales following each game. The arena is currently undergoing a $25 million renovation where all reclaimed and recycled materials are being tracked. During the $50 million renovation in 2011 leading up to the Republican National Convention, 20 percent of materials were recycled generating $70,000. 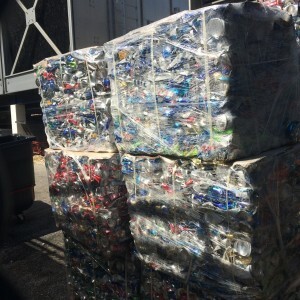 Additionally, a partnership with Coke prior to the RNC provided a plastic and aluminum baler which remains onsite as part of the facility’s recycling program. Recycling is a top priority for the Lightning. Milne ticks off the list of materials: “Paper. Cardboard. Lightbulbs. Banners.” The baler has been a huge help. On average, employees create six aluminum and three plastic bales following each game. In 2014 the bales generated $18,000. Half went to the cost of the program. The balance was rewarded as $100 prizes to employees through incentive programs that encourage improvement. Recycling organic food waste is important as well, with 100 percent of all pre-consumer organic food waste avoiding landfill. Where maintaining an ice hockey arena in Florida requires additional energy resources it also provides a unique win-win opportunity to innovate. Milne recognized that Florida’s growing season is nearly identical to hockey season and decided the organization could capitalize on the climate. The hydroponic garden produces the equivalent to a traditional one acre farm. 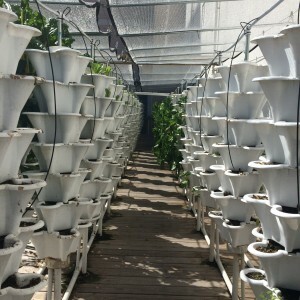 In 2014 they installed the largest commercial hydroponic garden in the Southeast. Built on a deck constructed above the facility’s cooling pipes is a vertical garden with 3,000 growing spots. With fresh cucumbers, tomatoes, arugula, romaine, eggplant, mixed greens, and herbs, the hydroponic garden produces the equivalent to a traditional one acre farm. The garden is fed by a closed water system that captures excess water, saving 300,000 gallons of water annually. The initial investment was returned after one year of use and the overall effort not only provides healthy fresh organic produce to guests but also removes one delivery truck per week from the facility, further reducing environmental impact. The garden was recognized by Venues Today this year as a Silver Spoon Award Winner for best sustainability initiative and is eligible for a “Fresh From Florida” designation from the Florida Department of Agriculture. As 2008 recipient of a Sustainable Business Award from the Sustany Foundation, the Tampa Bay Lightning have shown winning consistency both on and off the ice.